In case you hadn’t gathered from all of the posts about the Rothamsted wheat trials, I have a bit of a soft spot for wheat. 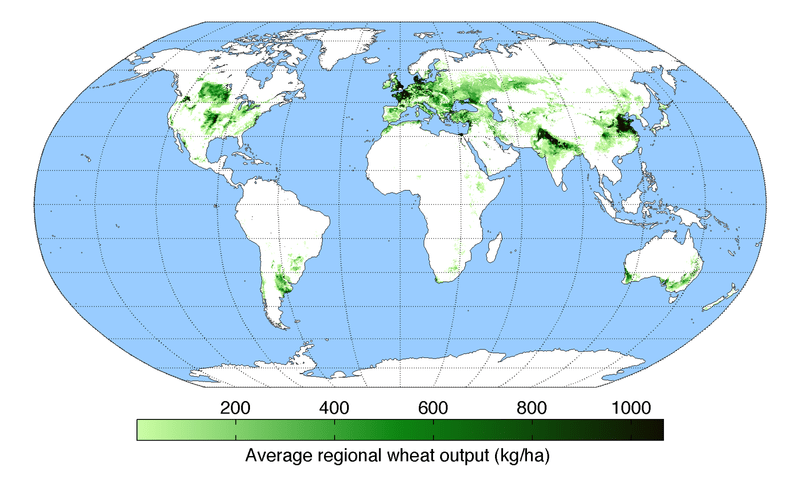 Wheat isn’t just globally important (as one of the Big Three staples, providing around 20% of our calories and a decent amount of protein for a cereal), it’s also really interesting. It has three genomes, making it incredibly genetically diverse, and therefore able to grow in a really wide variety of climates. That also means that it can undergo some nifty genetic changes: if one copy of a gene starts to evolve in a potentially-cool-but-potentially-hazardous way, there’s usually another ‘back up’ copy, allowing more divergent evolution than in a diploid like rice. One of the things that I find really frustrating about academia (and a significant part of why I enjoy teaching so much) is how narrow your focus has to become. I have lots of biological interests: I find stress biology incredibly interesting. I am fascinated by epidemiology. I did an internship looking at sexual systems in plants. As a scientific researcher though, most of that gets shut down. If there isn’t a viable possibility for collaboration then you may as well forget it. Time spent reading about neurology or viral resistance is apparently time wasted for me. Thankfully, I have a blog, and today – having given blood this morning – I am in no shape for lab work. If I were sensible I would be reading or writing or being otherwise productive. But, using the excuse that I would probably accidentally delete my entire Methods section (give me some credit, I faceplanted the floor of the donation room twice) I am reading about other interesting science.